For many people, getting pulled over at a DUI stop is a nightmare scenario. In reality, there’s not much you need to worry about. Now, the best way to avoid these situations is to avoid driving under the influence. Still, sometimes you might have a couple of drinks in you. If so, keep in mind that you can still protect your rights in a few simple ways. Not sure how to act at a DUI checkpoint? Let’s go over the basics. If you’re asked to stop at a DUI checkpoint, you’re obligated to cooperate. In some cases, the police officer may suspect you’re driving under the influence. Other times, they may simply be making a random stop. Either way, try to go through this process to the best of your ability. As soon as you notice the checkpoint, slow down and observe the traffic laws. Every time a police offer pulls someone over for DUI, they’ll write down a report. If you come off as rude or hostile, that report can end up being quite negative. Instead, treat the officer in a respectful manner and comply with their requests. While you’re talking to the officer, don’t make any sudden movements. Their first priority is to protect themselves, which is why they’ll be extra cautious. Your best bet is to keep your hands on the wheel until you need them. When stopped by police, you should show them your identification. Failing to do so will put you under pressure right away, and could lead to a quick arrest. What you shouldn’t do is answer incriminating questions. If you did have a drink or two, admitting that won’t help your DUI case. Instead of answering if you’ve had anything to drink, politely decline to do so. 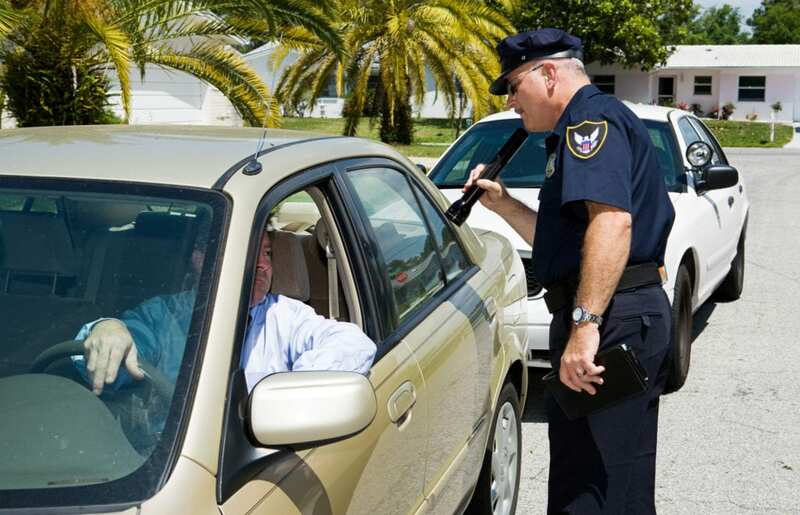 Contrary to popular belief, you don’t have to take a breath test at a DUI checkpoint. Roadside breathalyzers are unreliable, and you may not want to take a chance with them. That said, this may lead to having your license suspended. Also, keep in mind that this doesn’t work if you get arrested for DUI. If you’re asked to take this test at a police station, you can either submit or face arrest. On a similar note, you’re in no obligation to perform a field sobriety test. These tests are subjective in nature, and they’re often based entirely on opinion. If you decline to take it, be polite and don’t escalate the situation. If you get arrested, write down everything you remember about the incident. The more information you have, the easier it will be for your attorney to help you. As fresh memories are more accurate, do this as soon as possible. When it comes to getting a DUI, understanding your rights can make a big difference. As long as you stay in control of the proceedings, you should have nothing to worry about. Want to know more about getting pulled over at a DUI stop? Looking to bail out someone who’s in jail on DUI charges? Contact us here to find out more!